Forum for Small Jewish Communities, "Small is Beautiful"
While external circumstances force our communities to become safer spaces for our members, when investing in security we, sometimes, endanger our communities becoming less welcoming. As we aim for people to come, enjoy and stay for our services and programmes, we might forget to take into consideration “ the people factor”. How can we learn from successful experiences of transforming hybrid spaces into attractive destinations and make people stay feeling cosy? Come and learn by booming tested stories and experiences. Registration closes on 10 May 2019. 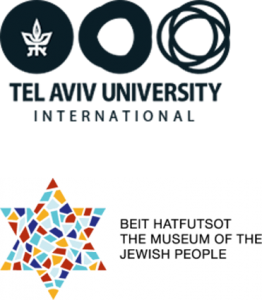 TAU, in partnership with the Museum of the Jewish People at Beit Hatfutsot, is excited to be launching a new program during summer 2019 that will examine new and innovative methods of Jewish Education including the creative and innovative use of Israel’s digital museum resources in the classroom. In addition, the course will examine various approaches to the teaching of Jewish Peoplehood in the classroom in an effort to help teachers understand ways in which to effectively discuss the evolution, differences, and similarities between Israel’s Jewish population and Jewish communities and individuals around the world. Apply by 1 May 2019. EAJL – The European Academy for Jewish Liturgy – enables Jewish communities to sustain themselves through training committed people to lead t’filla (prayer services). They work in Europe through one-to-one mentoring, seminars, residential retreats and training at the Summer Programme at the Conservative Yeshiva in Jerusalem. They are a pluralist, egalitarian organisation with teachers and students from across the Jewish spectrum and train people from beginners to the highest Ba’al T’filla Diploma level. An MA degree in Education with a specialization in Jewish Education from the Hebrew University, one of the top hundred universities in the world. The program is conducted in English and can be completed in a single calendar year. It includes two semesters of online courses and an intensive summer semester in Jerusalem. 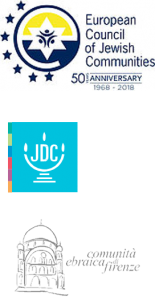 The courses deals comprehensively with the theory and practice of Jewish education at a high academic level and are delivered by scholars from the Melton Centre for Jewish Education which has been a centre for research and postgraduate study for over 50 years. For further information contact Dr Marcelo Dorfsman marcelo.dorfsman@mail.huji.ac.il or visit their website. 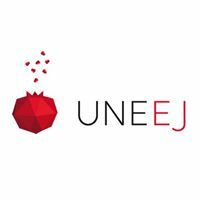 L’UNEEJ est une plateforme de cours en ligne universitaires (MOOCS) proposant un programme d’enseignements ouverts à tous et à toutes et couvrant tous les sujets des sciences du judaïsme et des études juives. Les cours sont gratuits. Il y a des thèmes intéressants et variés, enseigné pour la plupart par des professeurs universitaires. Les champs couverts sont par exemple: l’histoire juive, la littérature hébraïque, la pensée et philosophie, la langue hébraïque (hébreu biblique, rabbinique, moderne), l’écologie et le judaïsme, inter-culturalité et dialogue, ou la psychologie et psychanalyse etc. Chaque cours se déroule sur une période de 5 à 6 semaines. Les universités et les écoles créent continuellement des cours qu’ils ajoutent à la plateforme UNEEJ. Les dates de début et de fin des cours sont disponibles sur la page de description de chaque cours. UNEEJ is an online university course platform that offers educational programs, addressing a diverse range of Jewish Studies topics. The courses are free and they are open to all. They cover an interesting range of subjects, mostly taught by university professors. Topics covered are for example: Jewish history, Hebrew literature, philosophy, Hebrew language (biblical Hebrew, rabbinic and modern Hebrew), ecology and Judaism, inter-culturality and dialogue, psychology and psychoanalysis etc. The courses take place over a period of 5-6 weeks. The universities and schools continually create courses that they add to UNEEJ. The starting and finishing dates are available on the description page of each course. The Sefaria Educator Course is a fully subsidized professional learning program designed to support educators using Sefaria in Jewish studies classrooms across the country. This course will empower you to reimagine pedagogy in light of digital technology. Using the content in our asynchronous online training center and your own teaching experience, you can build your skills on Sefaria and directly apply your knowledge and training to your work with students. Every year, Summer U hosts a wide range of activities for young Jewish students and professionals (18-30 years old) from all over Europe and beyond. This year all their energy has been focused on making this event a place of celebration of positive European Jewish identity, celebrating diversity at all time: during the workshops, the legendary parties, while networking, in the pool or challenging others at sports. This Summer is all about U. They are introducing a new concept, where you have the opportunity to bring what you want to see in Summer U. This year’s new concept is the creation of clubs. Interested in doing Jewish learning in Tel Aviv? BINA’s Secular Yeshiva presents: Beit Midrash TLV! Beit Midrash TLV is an intensive 4 month programme in Tel Aviv that offers Jewish learning in English in an egalitarian and pluralistic environment. The programme courses include Talmud, Tanach, Jewish philosophy, and Israeli studies from a secular perspective, as well as a Hebrew Ulpan and social action volunteering. European Jewish community professionals and educators who are interested in this program and are committed to returning to Jewish professional life in Europe afterwards may be able to apply for a Yesod Jewish Learning Scholarship. For more information, contact Zoe Jick at zoe@bina.org.il. Conservative Yeshiva is a diverse, egalitarian, and engaged learning community in the heart of Jerusalem where you can ask questions, explore and grow, and gain skills for a lifetime. Conservative Yeshiva students study Bible, Talmud, Mishna, Hebrew, Jewish Philosophy and other classical Jewish texts in the original and in depth, but at a level and pace appropriate to the learner. Engagement with modern scholarship, ethics, and social movements is encouraged – and students are expected to bring their “whole selves” to the learning. Immersive semester and year programs are offered, as well as summer schools with some options in French or Spanish. The student body and faculty feature a wide range of Jewish backgrounds (Reform to Modern Orthodox), nationalities (North America, South America, Africa, Australia, and Europe), and ideologies, though all are fundamentally committed to building a single yeshiva community that is inclusive, egalitarian, and promotes social justice. Contact Rabbi Andy Shapiro Katz (akatz@uscj.org) for more details. Looking for a way to engage in sophisticated Torah study and improve your Hebrew? The Conservative Yeshiva Summer program consists of two 3-week sessions with 5 levels of Hebrew ulpan in the morning and classes in Talmud, Tanakh, Prayer, and Jewish Thought in the afternoon. Session 1 – June 16 to July 3, 2019 – includes a special “Keilim” track for college students from the UK. Session 2 – July 8 – 25, 2019 – includes both a special track for French-speakers and a special High Holiday Liturgy Track. Contact Rabbi Andy Shapiro Katz (akatz@uscj.org) for more details. Apply by 1 May 2019 for an earlybird rate. Supported by the Central Council of Jews in Germany, the Hochschule für Jüdische Studien Heidelberg (HfjS) is an accredited institution of higher learning that delves into a broad range of research topics within the field of Jewish Studies. With its 10 resident professors working in close cooperation with the University of Heidelberg, the HfJS is a point of dynamic scholarly discussion that incorporates all facets of Jewish religion, history, cultures and societies. While the proximity to the historical heritage of Ashkenaz provides decisive impetus for both academic and religious work at the HfJS, its interest invariably extends beyond to all areas of geography and chronology as to consider Jewish cultures at large. Open to all students and scholars, regardless of their religious affiliation, the HfjS offers B.A., M.A. and doctoral degree programs in Jewish Studies, as well as strong language training at all levels. One such master’s program at the HfjS, the pan-European M.A. in Jewish Civilisations, was designed in cooperation with Paideia—The European Institute for Jewish Studies in Sweden based on a shared vision of furthering excellence and mastery of Jewish sources in Europe, enhancing the knowledge base in Europe for research in Jewish Studies and contributing towards a European Jewish culture that is a dynamic, open and inclusive learning community. Cross-communal and multi-generational grassroots Jewish learning festivals that take place all over Europe and around the world. Limmud provides a platform to engage with different Jews, many opinions, and a large choice of Jewish learning topics in a range of different styles. See Yesod @Limmud for Yesod sponsorship at Limmud festival UK. Please note UK applicants are not eligible. 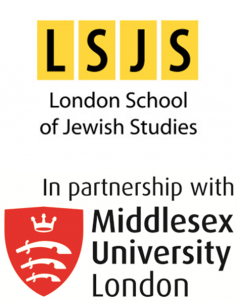 LSJS will be offering its successful part-time BA and MA in Jewish Education via an online option. The BA is perfect for those seeking to study for a degree in education early in your career. The MA is ideal for educators, from a range of backgrounds, who are seeking to explore advanced studies in education. The final degree is awarded by Middlesex University. For further details, contact Jane Clist (Academic and Teacher Training Administrator) by phone (+44 208 203 6427) or email (jane.clist@lsjs.ac.uk). Alternatively, please check the LSJS website. The Pardes European Leadership Fellowship is a year program open to European Jewish students and leaders (ages 20-35) who are passionate about building community and eager to enrich their personal and professional identities through the in-depth study of classic Jewish texts and core Jewish ideas. The program is based in Jerusalem. The Pardes Institute of Jewish Studies also offers a Pardes Experiential Educators Program 1 year certificate in Jewish education in parallel to the Pardes European Leadership Fellowship, as well as different shorter summer school options. Pardes is an open, co-educational and non-denominational Jewish learning community, based in Jerusalem and with programs worldwide. Students encounter and grapple with classic texts and traditions of Judaism, while exploring their relevance to today’s most pressing issues. Pardes empowers students with the knowledge and tools to take ownership of their Jewish experience. Diversity is at the core of Pardes and students represent a broad spectrum of the Jewish world. The result is a vibrant community constantly engaged in honest, dynamic and constructive debate leading to serious personal reflection and growth. While the vast majority of Pardes teachers live their lives in accordance with halakha (Jewish law), they differ from one another in their philosophical, spiritual and practical approaches to Judaism and affiliate with a range of communities. Apply by 31 March 2019. This summer, join Pardes in Jerusalem for 3 or 6 weeks of dynamic, interactive Jewish text study within a diverse community of students from around the world. Session I: July 7-25 (including a track for French speakers); Session II: July 29 – August 13. Contact carmella@pardes.org.il for more details. Apply by 13 June 2019. An online platform for chevruta (paired) learning, on a wide range of topics. Project Zug offers a platform in which a pair of students (usually from different countries and paired by Project Zug) study texts that are curated and presented by high-level teachers. Are you working professionally in a Jewish community or organisation in Europe or as a Jewish educator? Do you want to expand your Jewish fluency (Jewish knowledge, understanding and how to apply it in your work) to deepen and broaden the impact of your work? 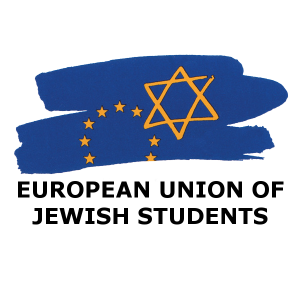 If you are interested in a semester or year-long Jewish study program and need financial support to take part, contact us on info@yesodeurope.eu to discuss a possible Jewish Learning Scholarship.